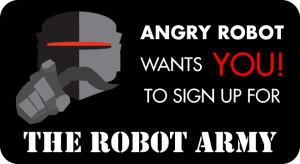 Angry Robot ™ is a new global publishing imprint. 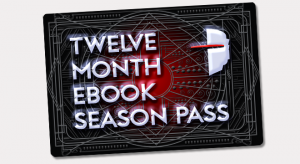 Our mission, quite simply, is to publish the best in brand new genre fiction – SF, F and WTF?! Traditional SF and fantasy has been ploughing an entertaining furrow for many decades, but to our way of thinking much of it is missing a trick. To the new generations of readers reared on Dr Who and Battlestar Galactica, graphic novels and Gears of War 2, old school can mean staid, stuck in a rut. “Crossover” is increasingly the way forward and you’ll find plenty of it here, without batting an eyelid. New heroes and new settings, or maybe just reinventing the wheel, we’re not fussed – if there’s an energy in a book that gets us jumping up and down, we’re all over it. Keep checking back for more news on what we’re planning… and do tell us how we’re getting on.